Why do evergreen trees lose their leaves? Evergreen trees maintain leaf cover all year round, as the name suggests. However, that doesn’t mean that every leaf on the tree stays there forever. Leaves on evergreen trees become old and are shed as fresh young leaves come along to replace them. This means that, at certain times of year, your evergreen tree might not look at its most stunning! Take, for example, Photinia 'Red Robin' and Ligustrum lucidum (Chinese privet). In mid-winter and early spring they can look a tad scruffier than usual, as their cold weather ravaged leaves turn dull and spotted, and start falling, leaving somewhat of a carpet on the ground. Any leaves that are shaded out will also be discarded. There is nothing unusual in this! Those leaves have done their job, photosynthesising their hearts out for the tree for months on end. Now it’s the turn of the next generation to spring forth and cover the branches in lush, deep-coloured, lustrous new growth, which emerges as the weather warms up in the coming months. Dying leaves will be most noticeable on young trees where the crown (the branching top growth) is thin. As the crown thickens up over the years, you won’t notice them so much. So, in January-May, depending on the weather, it’s nothing to worry about if your evergreen tree or shrub isn’t looking its best. In fact, it’s a great opportunity to carry out pruning, as lovely new growth will soon take over. The long and short of it is that evergreens are not necessarily always green, but it’s quite natural for them to lose leaves in winter and early spring. 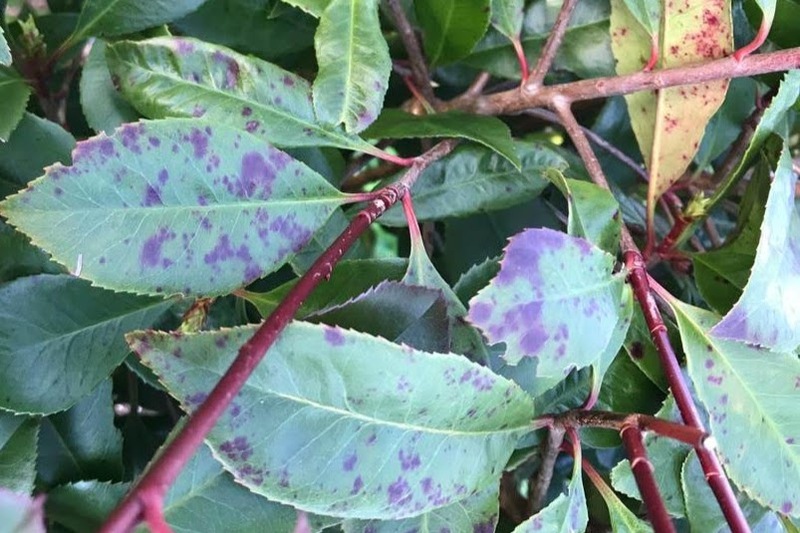 If they look sickly after spring has sprung or in mid-summer, start with checking that newly planted trees and shrubs have been given aftercare as suggested.